There is a huge need for early childhood education. 90% of these children come from extremely poor families who live under $1 a day. 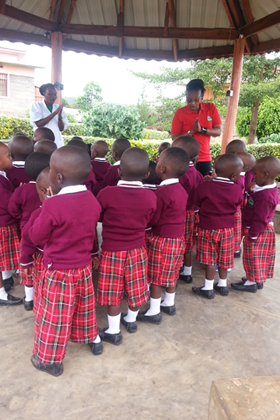 The only existing preschools in Nyamata are for the middle class or the wealthy. NCV wishes to educate the poor children who cannot afford school either for financial struggles or for issues related to long distances between schools and the children’s homes. 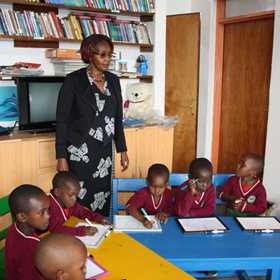 NCV started an early childhood program in 2017, a model preschool for the poor, in Kanazi, Nyamata, a town of approximately 35,000 people. 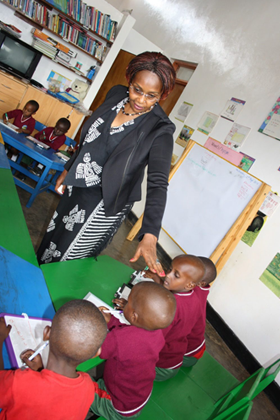 We provide a feeding program, qualified teachers, integrated curriculums and involve families. 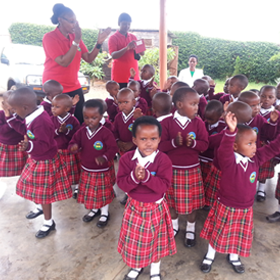 We have 53 children in our preschool program. We feed the children two nutritious meals a day to boost their stunted growth; estimated at 4%. Children learning new songs with their teacher Priscilla. 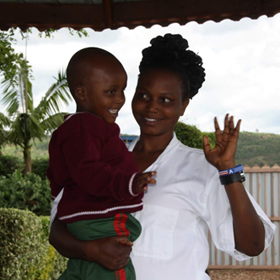 Teacher Priscilla with one of our preschoolers. Floriane visiting Top class (5-6 years old) . Floriane checking the kids while they learn how to use their new school boards. 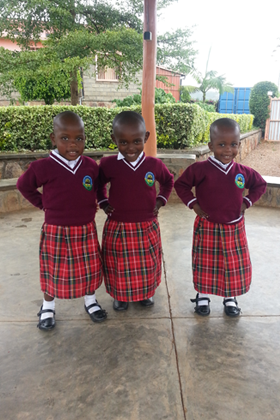 Three girls pausing and showing off their new uniforms. Floriane and Clarisse singing and dancing with the kids.